For anyone, chance to watch live performances of traditional dances, music and story telling or to sample a range of traditional dishes and famous African brews is a rare opportunity. Dr. Kinuthia Njoroge, an enterprising 55 year old social science graduate from the the United States had a vision: to set up a centre for research and cultural preservation and to fill the void that existed in showing visitors at least part of the African way of life. Dr. Njoroge also wanted to provide students of African culture with the opportunity to study and experience through live performances of their ancient ways and create an interesting outing for school children at the same time. This is why the opening of Riuki cultural Centre in 1988 was received with such warm enthusiasm from lovers of Kenyan cultural heritage. The Centre is situated about 25kms from Nairobi and offers tours to African homesteads, performances of African dances, story telling sessions and a treat of selected dishes from “Mumbi’s jiko’ – the traditional cuisine. According to Dr. Njoroge, the centre is more an educational centre than a tourist resort. ‘It is not our wish to compete with commercial tourist attractions that expose Africans to ridicule with dances twisted to suit the interests of the tourists and without caring whether the performers are enjoying themselves. Some of the virtues associated with African culture are generosity, kindness, sharing and respect between different age groups, ethnic groups and other people. Culture gives people an identity, says Dr. Njoroge. Riuki, which means hearth or simply the centre of a Gikuyu homestead, and nuclear of the family, is an apt name for the enterprise. It portrays Agikuyu rural life and culture both in outlook and activities. To develop an awareness of the contribution of the some of the Agikuyu cultural practices in the overall growth of children within the community through songs, dances, drama, stories, proverbs, idioms, riddles and enigmas..
To alleviate poverty through training and development of creative skills targeting the youth and women groups in the community. To promote the neglected creative cultural potential of the youth and women groups in order to alleviate poverty and enable them engage in gainful means of livelihoods in art, craft, traditional technology as well as production of intangible creative performances. To promote intercultural relations among Kenyan and develop national harmony and encourage intercultural relations with other countries for a better appreciation of other cultures. 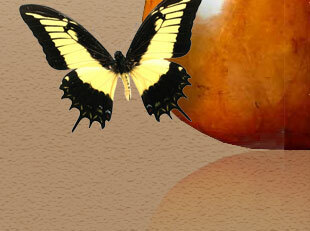 To promote cultural tourism and network as well as collaborate with groups and institutions in the tourism industry. 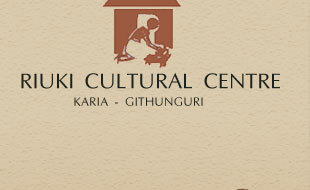 To facilitate the development of infrastructure of cultural centres depicting the diversity of Kenya cultures. To establish a travelling theatre to visit schools and institutions in the country for for purposes of staging thematic shows in such areas as HIV-AIDS, anti-drug abuse awareness, environmental conservation technology and innovation. To establish the Riuki Cultural Centre Endowment Fund as part of support for the Riuki community initiative as a CBO.